Need To Serve An Eviction Notice/Unlawful Detainer In Los Angeles? 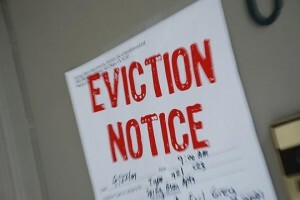 As a landlord, you may need to serve an eviction notice from time to time. But unless you want to find yourself on the wrong side of the law, it’s very important that you follow the legal regulations in California for serving an eviction notice and proceeding with a Court filing, also known as a Summons & Complaint For Unlawful Detainer. To help make this process as simple as possible, we’ve put together this standard how-to guide for California property owners to serve Unlawful Detainers. Before you can file your Unlawful Detainer with the Court, you have to first give the tenant you are attempting to evict written notice of your purpose to evict them from your property. This is known as a Notice to Pay Rent or Quit or an eviction notice. Dependent on the provisions of your lease, California’s Codes and Regulations and the violations upon which you’re seeking eviction, you will need to legally serve the Inhabit with either a Three (3) Day Notice to Pay Rent or Quit or a Thirty (30) day Notice. Step 1: Find the proper venue, Court, to file your claim. Complete, sign and date the necessary forms. You will find the forms you’ll need here. Step 2: Bring your paperwork to the Courthouse where you need to file your case. Each County may require a local form, and if so, the Clerk will furnish you with any additional forms necessary. You will need to pay a filing fee. If you cannot pay the Court fee, fill out a Fee Waiver Form and Order and file it along with the other forms. Step 3: Once your forms are filed, you will need to serve the tenant with a copy of the filed forms. NOTE: It’s not legal for you to personally serve the papers, someone other than you needs to serve them. This person should take along a Proof of Service form for each tenant being served and have them sign it. The type of service upon the Tenant, whether personal or mailed, will depend on the amount of time in which they have to respond. Unlawful Detainers are a fast tracked legal matter. It is critical you either seek the advice of a lawyer or study the California Code and Regulations for the suitable amount of time in which Unlawful Detainer Court procedures take place. Step 4: Depending on your particular scenario, there are some other guidelines to follow. You can find out what you’ll need to do next as soon as the tenant responds or not. This may include filing more paperwork to allow you legal entry into the property in question. If the tenant responds by paying their rent or moving, you may not need to take the process any further and can file a Dismissal with the Court. Again, it is a good idea to study the matter or seek a lawyer’s advice about your legal options. Step 5: Whether the tenant doesn’t respond in time or responds and decides to defend the allegations, you will more than likely need to file additional forms with the Court and/or attend a Court hearing. The Court will give you notice of any future Court dates and/or advise you of any forms necessary to be filed. Step 6: If the matter proceeds to a Trial, a Judge or Jury will either settle in your favor or in the tenant’s favor. What you need to do next will depend completely on the judge’s decision at this time. If the case is found in your favor, you’ve now successfully and legally completed the eviction process and regained all rights to your property. JPL Process Servers are knowledgeable and experienced in the service of Unlawful Detainer proceedings. If you have any questions about the service of eviction notices, unlawful detainers and/or any other legal matters, please contact us at (866) 754-0520 and we will do whatever we can to make this process easier for you.